A prepared skater never leaves home without their “lip stick.” Case in point, this week’s Monday Cover skater, Kim Petersen, demonstrating how to apply a layer of metal shavings to the Treasure bowl lip. The stoke level of any session is kicked up a few notches when Kim is in the mix. Check out a few more pics of Kim after the turn along with a few video clips. Yeah, Kim! She steps up any session! You rip and had a blast sk8touring with you. The KRUSHER! Ms. Peterson loves pool block. She looks like she could be Dave Pirner’s (from Soul Asylum) sister…. Rad. 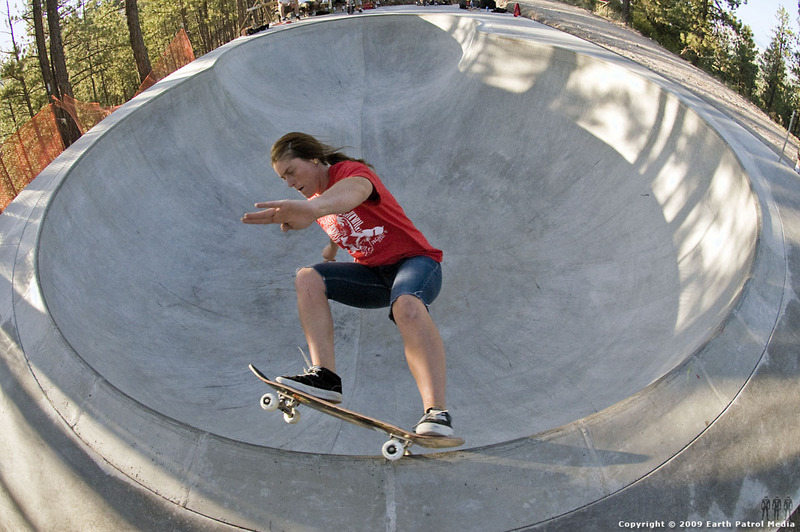 I love seeing women skate. and I wish I could shred like Kim. 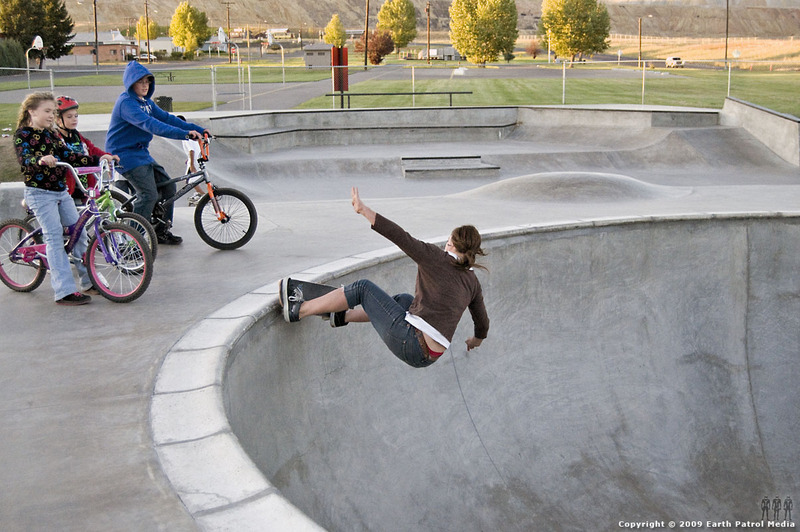 Sick frontside airs. Rock on sista! Kim, always a shredder!!! Sick backside 50-50 over the love seat! Can’t wait to come back out to MT sometime soon. 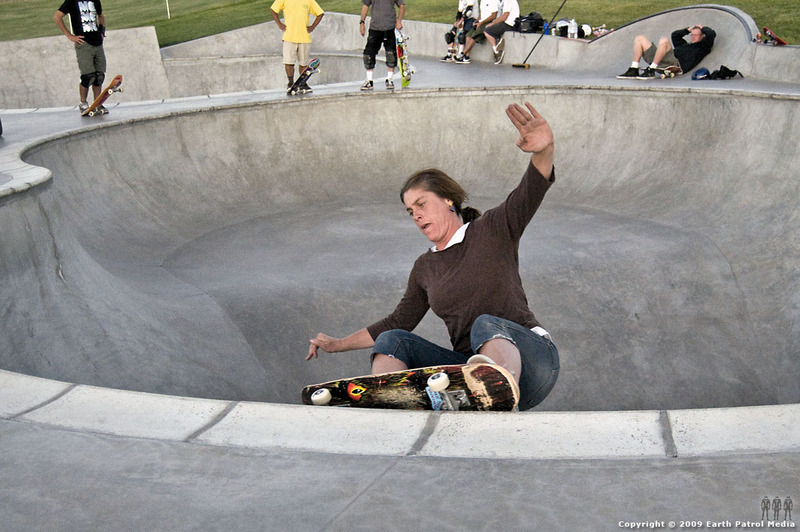 montana- skateboarding- kim. always fun sessions.